Stefan Klein, a Slovakian engineer has created a car that can drive .... AND fly! He calls it the Aeromobil and it's got retractable wings and propellers. Klein ran a successful flight test in October. The Aeromobil can reach speeds of 200 km/hour as an aeroplane and 160km/hour as a car. To drive the Aeromobil of course, you need a driver's--and a pilot's--license. A second prototype, the Transition, is being developed in the United States. Is this the car of the future? What do you think? It’s really a big technological progress. That’s insane !! But it will be complicated for everybody in the future to have a driver and a pilot licence. Yes, but the test will be simplified, because the plane is not as bigger than an airbus or what, and no complicated commands, landing is easiest, no passengers, and much lighter. the best car ever. THat will be so cool if everybody have this car !!!!! OMG! I like to drive one. It will be the car of the future of course!!!! this is an old post😂LOL 2014?! I think it’s impressive to see a car that can fly !! congratulation to the man who created the car ! I would like to have that, just for skipping lines. It’s amazing ! I love this idea !!! WOW INCREDIBLE I NEVER SEEN THIS BEFORE JUST WOW !!!!!!!!! wow!!! I did not know that the future will come so early !!! that`s very nice , I want that thing. That’s so cool! It’s so awesome! 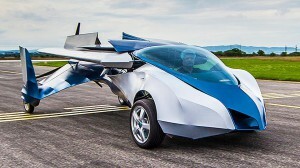 I want to fly in this flying car !! How many people can you put in there? I think is amazing but the licenses are a bit difficult you know. I think it’s amazing, it’s not a car that can be airborne without wings or while hovering, but it’s a progression in technology that we have been waiting for since 1989! I do think it’s disappointing that we need a pilot-license to be able to enable flight. People with glasses all over the world will be disappointed. I think that this aeromobil is a grand progress for the people in the word, because the flying car is faster than a car and we can travel in the air without using an airplane. I’ve always wanted to have one of these cars when I was little. I would like to ask you to make other models of different colors. I think these cars will be very effective for the human race and will change our lives. It´s a very interesting text for me. In my opinion it is a very interesting text. I think it’s an interesting topic, since it will improve the emergency transportews. I was thinking about the same car, when I was 7.
what if you are out of gass? Do you just crash into the ground? A real car for the family! WoW! Cool! A flying car! This car is fantastic and the colours are very nice. The car is good because you can go to more places with this car. Bye! WOW. I want this car. It is a fantasic idea. Congratulations. Only one thing, I prefere it in green. Yeah! It really is fantastic! CONGRATS!!!!! It is a very good idea because is a very big step for the future. You can go to all of the parts of the world because you drive in the road and you fly in the sky. It’s great, i need one! ;) I think it’s a great idea because its a new mean of transport. It is a fantastic idea because is a very big step from the future. OMG. You can go to all parts of the world because you drive in the rode and you fly in the sky. OMG: I want that car because you can go everywhere with this car. It’s a fantastic idea. Congratulations!!! This is the future. I want to have this car. Imagine to have an airport in the roof of your home. And with his velocity you will never late again to work or school.It’s fantastic. I love that car, but I prefer that in red. I bet it’s more than a million dollars, because it’s really rare. WOW! It’s cool and fine. What? That car can fly! ?